Mazda has collaborated with Microsoft to launch a new model on the Xbox consoles. The launch will take place in New York on 26th June and will be broadcasted via Xbox Live. Xbox Live is an online multiplayer gaming and digital media delivery service created and operated by Microsoft. Mazda is keeping mum on the new model but it would most likely be the all new 2014 Mazda3. This is an important model for the Hiroshima automaker as it is their bread-and-butter car. "It's a digitally connected world, so what better way to reach our customers than through a connected platform like Xbox. We were looking for a way to launch a global product and tie together our five separate reveals (in Melbourne, St. Petersburg, Istanbul, London, and New York City). Xbox not only gave us the platform, but allowed us to leverage our digital assets to drive a global audience to view the event," commented Russel Wager, Mazda (US) Vice President of Marketing. 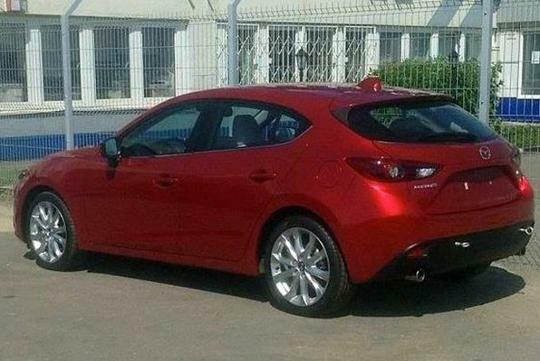 Separately, a photo (above) of the new Mazda3 without camouflage has appeared on a Russian Facebook account. It seemed authentic and matches the styling details of the camouflaged prototypes that were captured before. But it wouldn't be long before we see the actual product.